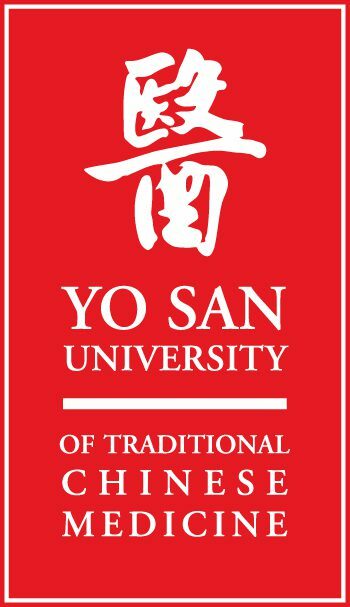 The Yo San University Master’s and Doctoral Acupuncture degree programs are eligible for federal financial aid and monetary assistance from private resources to help students cover the cost of their university education. Financial Aid takes the form of scholarships, grants and loans. Nearly 70% of our Masters and 60% of Doctoral students meet the costs of their education with aid from the Federal Student Loan Program. For assistance with your financial aid options, eligibility requirements and application process contact admissions today. The first step is completing the Application for Federal Student Aid (FAFSA) at http://www.fafsa.ed.gov. You must file a FAFSA each year to receive financial aid. You will need our FAFSA school code, 030982. Next, Complete Entrance Counseling and Master Promissory Note at http://www.studentloans.gov. Under the Federal Direct Student Loan programs, students borrow from the U.S. government. Graduate students may borrow through the Unsubsidized Stafford and Federal Graduate Plus programs up to the Cost of Attendance. Through the Direct Unsubsidized Stafford Loan program, the student borrows at fixed rate set every July 1st. The current rate set on July 1st, 2017 is 6% with a 1.066% loan fee. A student may borrow a maximum of $18,500 per academic year (defined as two trimesters) under University policy. No payments are required while the borrower is in school and during the six month grace period following the end of enrollment but interest accumulates. Accrued interested will be capitalized or added to the principle when the loan goes into repayment. MATCM and DAOM students are eligible to borrow under the Federal Graduate PLUS Loan Program up to their Cost of Attendance minus other estimated financial assistance including other Direct Loans. Applicants are required to complete the Free Application for Federal Student Aid (FAFSA) and have a good credit history. The interest on this loan is set every July 1st and is currently fixed at 7%. The current loan fee applied to all Graduate PLUS loans is 4.264%. In most cases, a check for the difference between your charges at Yo San University and the amount of Student Loan you borrow will be available for pick up on 1) Tuesday of week three of the trimester for MATCM students, and 2) Sunday of the first weekend residency of the trimester for DAOM students. “Work-Study” or student employment is part-time work for the University that allows students to contribute to the operation of the University and earn a modest income to help defray the expenses of study. Employment opportunities may be available in the Clinic, Yo San Library, and Administration Office. Please inquire about positions in the Administration Office or look for posted notices. To ensure you understand your loan obligations, federal rules require you to participate in two counseling sessions regarding loans. Entrance Counseling is required before you receive your first Stafford or Graduate PLUS loan at YSU. In your Entrance Counseling session, you will learn about the types of loans that are available, the terms and conditions of the loans, and your responsibilities. This information is provided to ensure you fully understand your loan obligation before you are committed to receiving the loan funds. Complete your Entrance Counseling at www.studentloans.gov. Exit Counseling is required before you graduate or otherwise leave YSU. In your Exit Counseling session, you will prepare for repaying your student loans and consider debt management strategies. This information is provided to ensure you understand your repayment options and prepares you for the payments that will be required on your loans. Complete your Exit Counseling www.studentloans.gov. The Cost of Attendance (COA) is an estimate of the costs related to attendance for one financial aid academic year of study. The financial aid academic year is defined as (2) two consecutive trimesters of enrollment. A typical COA consists of allowances for Tuition and Fees, Room and Board, Personal and Miscellaneous, food and transportation expenses. The COA is constructed using modest yet realistic costs of a student living in the Los Angeles area. Eligible applicants must be admitted to the either the MATCM or DAOM Program, be enrolled at least half time in MATCM program or full time in the DAOM program, making satisfactory progress toward completion of the program, and be U.S. Citizens or permanent residents. In general yes, your eligibility will be evaluated annually based on your updated FAFSA information, your academic progress, and the amount of student loans you have borrowed to date. You are encouraged to meet with Financial Aid periodically. What if my tax return will not be ready when I need to file the FAFSA? For the 16-17 FAFSA, it is best to use your final tax return to complete the FAFSA. This assures that the information is accurate. However, if this is not possible, the FAFSA does allow you to estimate your tax information then update it with the final corrected information as soon as available. It is best to complete the 17-18 FAFSA three weeks after you submit your 2016 tax return on-line with the IRS This will allow you to transfer your 2016 tax information directly from the IRS using the Data Retrieval Tool into your 18-19 FAFSA. This assures that the information is accurate. However, if this is not possible, the FAFSA does allow you to estimate your tax information then update it with the final corrected information as soon as available. How long does it take the Department of Education to process my FAFSA? Generally, if you file electronically you should receive a student aid report in the mail within about 2 weeks. If you mail a paper FAFSA to the government processor you might wait 8 weeks for your student aid report to arrive. Electronic filing is recommended. You are always welcome to call the Financial Aid Office for assistance at 310-577-3000 ext. 118. Your award letter confirms the financial aid that you are being offered. It includes the types and amounts of financial aid that you are eligible to receive. When reviewing your award letter, keep in mind that your loan period covers an eight month period. You will borrow loans every 8 months and your student loans will run in two trimester cycles. How and when do I receive the funds? Federal Loan funds are sent to the school at the beginning of each trimester. These funds are then credited to the student’s account via the school’s business office. If there are funds left over after paying for the student’s tuition, the student receives a refund check for the difference. These checks are available for pick up beginning on Tuesday of week three of the trimester in the Master’s Program and on the Sunday of the first DAOM Weekend Residency of the Trimester. For what can I use my student loans ? Federal Financial aid funds are provided to cover direct educational costs (Tuition, Fees, Books/Supplies, expenses) and a modest and reasonable allowance for living expense (Rent, Food, Utilities, Personal/Misc. expenses). Is there a limit to the total Aggregate amount of Direct Stafford Loans that I can take out over the course of my Graduate studies? Yes, the total amount of Stafford Loans that a graduate student can take out is $138,500. This limit includes any Stafford Loans received for undergraduate study or other graduate programs. To find the most up-to-date information about your loans, please log on to the National Student Loan Data System (NSLDS). This is the U.S. Department of Education’s central database for student aid. It receives data from schools, the Direct Loan program, the Pell Grant program, and other U.S. Department of Education programs. NSLDS provides a centralized, integrated view of Title IV loans and Pell grants that are tracked through their entire cycle, from aid approval through closure. Yes. Read about the University Scholarship program here. I received a scholarship. Should I report it to the Financial Aid Office? Yes. If you are receiving any kind of financial aid from federal sources, you must report the scholarship to the Financial Aid Office. In some cases, your financial aid package may be adjusted. If this happens, you will have less loan debt when you graduate. To remain eligible for Federal Financial Aid, students must make Satisfactory Academic Progress toward the completion of their program. The MATCM Program measures Satisfactory Academic Progress in terms of cumulative GPA and pace of program completion. “Satisfactory Progress” means that the student’s cumulative GPA is at least a 2.5, the pace (earned units compared to attempted units) is at least 67%. Progress is measured after each trimester. Students who fail to make Satisfactory Academic Progress are placed on a Financial Aid Warning for one trimester. If at the end of the Warning trimester, Satisfactory Academic Progress standards are still not met, the student is ineligible for Federal Student Aid. The student may appeal the result. Appeals must explain why the student failed to make satisfactory progress and what has changed that will allow satisfactory progress to be made by the next evaluation. The appeal must also include an Academic Progress Course Plan approved by the Assistant Academic Dean. The plan must ensure that the student will meet standards within a specific period. If the appeal is granted by the Financial Aid Office, eligibility is re-instated and the student is ‘on Financial Aid Probation’ for one trimester. If the Academic Progress Course Plan is not followed, the student is ineligible for Federal Student Aid. The student may again appeal. If an appeal is not granted, eligibility is only reinstated when the student’s GPA and pace meet standards. Full Time is defined as borrowing $8,000 or greater through the Federal Student Loan programs and averaging at least 13 required units per trimester. Half Time is defined as borrowing less than $8,000 through the Federal Student Loan programs and averaging at least 8 required units per trimester. The maximum time frame for completing the program as a half time financial aid student is 24 trimesters. Repeats: Courses repeated more than once may not count toward full-time or half-time status. Units Attempted: Units from enrolled courses are added to total attempted units when the letter grade is A, A-, B+, B, B-, C+, C, C-, W, WF and I. Units from courses with a grade of WX are not added to units attempted. submission of documentation to demonstrate timely progress on research, writing and review deadlines for the Capstone Research Project, as measured by the DAOM Capstone Deadlines published to each cohort. Students who fail to make Satisfactory Academic Progress are placed on Financial Aid Warning for one trimester from the date of notice, and may be referred to the DAOM Academic Advisor for required coaching. If at the end of the trimester, Satisfactory Academic Progress standards are still not met, students are ineligible for Federal Student Aid. A detailed statement on DAOM Satisfactory Academic Progress assessment is available upon request. Students may appeal the results of the above assessments to the Financial Aid Coordinator. Appeals must explain why satisfactory progress standards were not met and what has changed that will allow standards to be met by the next evaluation period. The appeal must also include an Academic Progress Course Plan approved by the DAOM Dean. The plan must ensure that the student meet standards within a specific time frame. When the appeal is granted by the Financial Aid Office, eligibility is re-instated and the student is placed on Financial Aid Probation for one (1) trimester. If the Academic Progress Course Plan is not followed, the student is ineligible for Federal Student Aid. The student may make a second appeal. If the appeal is not successful, eligibility is not reinstated until after the student has met all Satisfactory Academic Progress standards. Does Yo San Offer Payment Plans? Yes. YSU offers students short-term loans in the form of an installment payment plan. Under this plan, students pay tuition expenses in three (3) equal monthly installments, with the first payment being made at the time of registration. There is no interest or service charge to participate in the installment payment plan except for a late fee in the event payments are not made on time. All students registered in the DAOM program, with a minimum financial obligation of $1,500 are eligible for the installment payment plan and may make arrangements at the time of registration. Do I have any responsibilities as a student loan borrower? Yes. You must always keep your lender (the U.S. Department of Education) informed of your current address and telephone number. If your name changes, notify your lender immediately and they will inform you of the documentation that will be necessary for you to submit. Always keep copies of your award letters, promissory notes, and documents from your lender, and always keep track of how much you have borrowed in student loans. What happens if I default on my Federal Student Loans? It is very difficult to default on your student loans. You would have to go without payment for 270 days. But if you’re considering not paying back your loans, know there are serious consequences for allowing your loans to default. Generally speaking, your federal student loans are not dis-chargeable in bankruptcy. The key way to avoid default is to stay in touch with your lender, let them know what your situation is, and ask for assistance when you first fall behind on your payments. If you do fall behind, you can utilize your deferment, forbearance and repayment options. Not immediately. The Direct Loan has a grace period of 6 months before repayment begins. When you take a leave of absence you will not have to repay your loan(s) until the Grace Period is used up.You have not used your Grace Period, if you return to school at least half-time before the end of the six month period. However, if you return to school after six months, and you have used the Grace Period when you graduate, you will be responsible for repaying your loan immediately. If your Grace Period has run out in the middle of your leave of absence, you may have to start making payments on your student loans. The following links offer you a wealth of resources regarding the application process, student loans, debt management and related financial aid resources. Yo San University participates in the Direct Lending Program and does not offer private loans or participate in private or alternative loan programs. The Higher Education Opportunity Act of 2008 (HEOA) requires institutions of higher education participating in the administration of educational loan programs to develop and publish a Code of Conduct. Any YSU employee who has responsibilities with respect to student educational loans is required to comply with this Code of Conduct.